Make prom a night to remember! 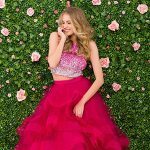 Let us help you find the dress that is uniquely you! Our designers offer the hottest new looks for prom. Whatever your look is, flirty and fun, a little bit edgy or clean and classic, you will find it at The Bridal Rail. 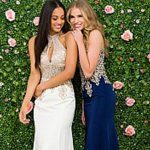 Come see for yourself why so many girls choose The Bridal Rail for that one of a kind look, personal attention and expert in-house alterations.